Thank you for choosing us to meet your dental needs. 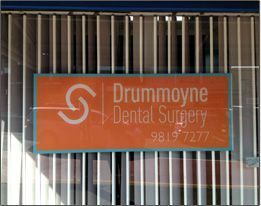 Drummoyne Dental has been serving the local community for all their oral health needs for over 20 years. We treat people ranging from babies to the elderly. We provide all our patients with a high level of professional care, high infection control standards and all our staff are here to support you achieve and maintain an excellent level of oral hygiene.